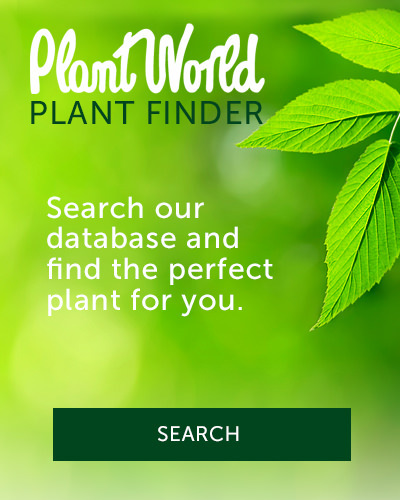 Plant World offers a great Rewards program that is free to join and earns you “dollars” not points. Instantly earn 3% store credit on your total pre-tax product purchases including sale items (excludes services) and use these “dollars” on future purchases or bank them up for that special item. Once registered this also entitles you to all of our direct mailings and protects you against lost receipts. Don’t forget to include your email so you can be sure to receive all our sales and events happening throughout the year at Plant World. With over 35,000 active loyal customers already a part of our program we think you’ll be happy too! To enter our rewards program, and be automatically set up on our mailing list, just fill out our brief form below! Your phone number is not optional, it is a way for you to access your rewards account in the event that you have forgotten your Rewards Program card. Would you like to be added to our email list for future offers and information?